Okay, so these are celebrities, and they do have access to personal trainers, dietitians, and Photoshop, but hey, you don’t get results without hard work and commitment. If they can achieve their body goals, so can you, and here are some pretty good tips on how you can do it. There are more ways to build muscle than weight-lifting. Resistance training can sculpt your body with lean muscle using your own body weight, resistance bands, and medicine balls. Begin with resistance training three times a week and try downing a protein shake or hard boiled egg within 45 minutes after your workout. Protein will help to keep the muscle on. Boot camp classes offer a variety of exercises and tools to help members reshape their bodies into lean muscle. Having a plan could make all the difference in actually achieving your goal. No one gets anywhere without a solid blueprint of how to get there. Arrange meetings with your friends for workout sessions or pencil visits to the gym on your daily planner. You’ll be more likely to commit if you have a realistic arrangement that will fit into your lifestyle. Of course losing weight and looking good are always motivating factors in pursuing a healthier lifestyle; however, it is also a good idea to think about other perks, such as increased flexibility and coordination, better health and a higher level of fitness. The more reasons you have to exercise, the more likely you are to stick to your plan. A good workout equals a good sweat, and while a good sweat is a great accomplishment, it can also be responsible for the loss of fluids, nutrients, and minerals. Coconut water mixed with regular water is a great way to replace lost electrolytes and keep the body hydrated. A good way to determine the amount of water you should be getting daily is to take for weight and divide it in half. The number you get will be the number of ounces of water you should be getting every day. Cravings can be caused by thirst, exhaustion or lack of nutrients. Try to get a nap or drink some water rather than reaching for a bag of chips. Recognize that cravings may really be symptoms of something other than lack of food. Nothing is surer to dissuade you from sticking to your fitness goals than a boring exercise routine. If you like dancing, Zumba is a great way to get that calorie burn. If you love the outdoors, consider running or hiking. Sports and swimming are also valid options. If you’ve got any tips for sticking to exercise goals, let us know how you did it, We welcome comments and suggestions. “To everything there is a season” and to every season there is a new skin regimen. In the summer, we sun proof, in the winter, we moisturize, and in the fall? What do we do in the fall? If you got questions, we got answers. Fall is rough on the skin because it is a time of transition. Not only is the drying weather a problem, but new routines and busier schedules put our complexions under stress. 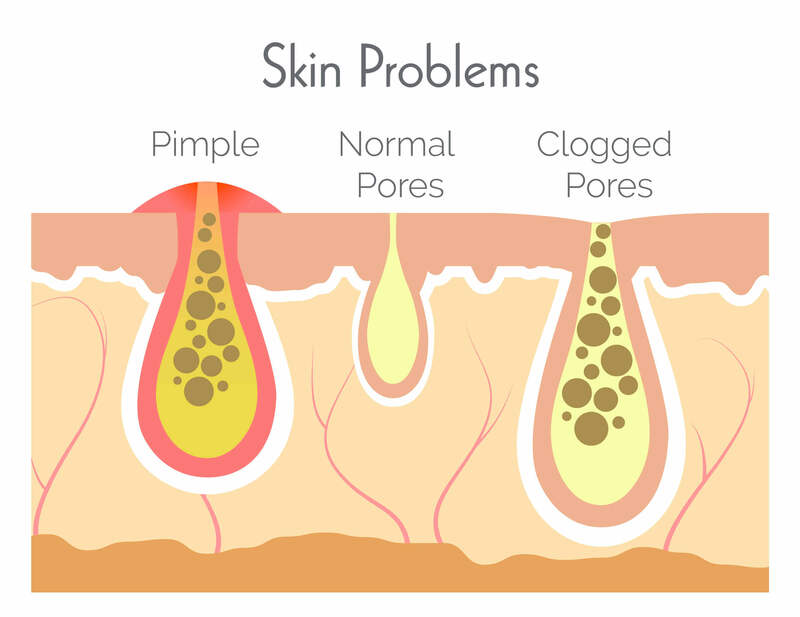 Our skin is subject to imbalances such as, flakiness, and eczema breakouts and dryness. Here are some ways to prepare and keep your skin beautiful in this season of change. One of the the reasons autumn is so dehydrating is drop in the humidity level. Dryness leads to inflammation, which is why rosacea and eczema are so prevalent in the fall months. The solution? Bring the humidity back with a humidifier. Use humidifiers to boost the moisture level in the home or office and increase hydration. It may also reduce redness and increase comfort levels. Nourish dry skin with some natural oil. Not only does oil help to maintain the skin’s elasticity, it decreases trans-epidermal water-loss. Worried about worsening acne? Don’t be. Lubricating skin loosens dry, pore- clogging sebum and helps to bring balance to acne prone skin. It is important that when choosing an oil, you aim for one with natural ingredients; mineral oil will not absorb as well. Your best options are olive, jojoba, and coconut oil. Moisturize from the inside as well as the outside. Hydration includes the increased consumption of foods like moisture-rich fruits, leafy greens, and healthy fats. Soups and stews are great for you and great for the season. Avoid dehydrating dry meats, alcohol, starches, and caffeine. Exfoliate! It gets rid of dead skin and clears pores allowing the skin to absorb oils and moisturizing elements to replenish skin and prevent dry skin patches form appearing. Peeling is also crucial for circulation and keeps skin looking young. While you may choose to use an intense scrub on your body, you may want to use a gentler product on the face. Cold weather constricts the blood vessels making for dull looking skin. Strong blood flow transports waste from our skin cells while delivering oxygen, keeping skin healthy and bright. Use skincare with ingredients such as lemon, oil, Vitamin C, ginseng, and ginger. These will help to restore color, improve circulation and increase collagen for anti aging. Pamper yourself with a facial. The pore extracting elements will help to purify skin and the massage portion with boost blood flow and brightness. 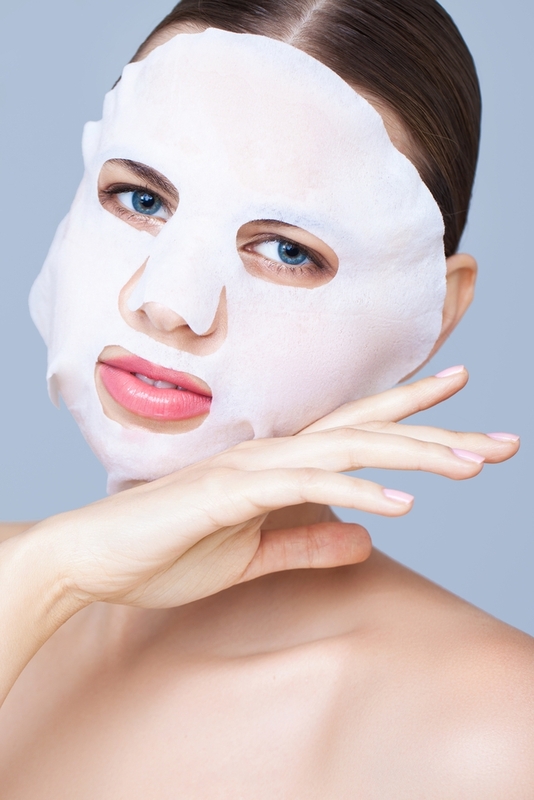 Masking treatments can be tailored to your beauty needs and aid in stress relief. If you have any fall skin tips, please share. We welcome your insight! The influence of Asia on beauty concepts, techniques, and treatments, also referred to as Asianification, took 2015 by storm and it’s showed no sign of slowing down in 2016. The global beauty business is massive, and Asia certainly seems to be at the forefront of it. Many western consumers are becoming increasingly focused on using products that include more natural elements. It’s also about products that combat environmental factors while helping skin to look more youthful with a glowing-from-the-inside-out appearance. The more benefits the product has, the better. Japan has long been a hot spot for trends, but there’s also an increase in fantastic developments emerging from South Korea and China. BB Creams have already been incorporated into many a beauty arsenal, but let’s talk about some other beauty trends that could take your skin care regimen to another level. The skin works hard to repair itself while you’re sleeping, and helping it along a bit can do wonders for waking up with skin that looks refreshed, hydrated, and brighter. Sleeping masks can add a huge dose of moisture to dry skin. You typically use it only once or twice a week, leave it on overnight, then wash it off in the morning. They’ve been around for awhile, but the popularity of cushion compacts is steadily increasing. The product basically consists of airtight packaging that includes a sponge that’s soaked in the foundation. You can build up the lightweight multi-tasking formula on your skin and it provides even coverage. Additionally, if you’ve ever had a foundation spillage in your purse, you already know a cushion compact can be a big asset. It’s the “mask” that doesn’t require slathering a product on your face and letting it sit there for 15-minutes. All you have to do is add the liquid to water, splash it onto your face, pat it in, and you’re done. The concentrated ingredients can do wonders for your skin and all it takes is less than a minute to get them going. Using sheet masks can take a little getting used to considering on your face is a piece of cloth or paper that’s soaked with ingredients and has strategically cut holes in it. The mask presses all the good ingredients onto your face for the directed amount of time, then you’ll toss out the mask and usually pat the remaining ingredients into your skin rather than wash your face. They’re individually packaged and – depending on the mask – you can buy them in singles or in a box of multiples. There are a variety of different types of sheet masks, however, so it’s all about finding one that’s best for you. Women from Japan, South Korea, and China know what they’re talking about when it comes to beauty and skin care. They’re smart, educated about the products and techniques, and they expect to get good results for their money. 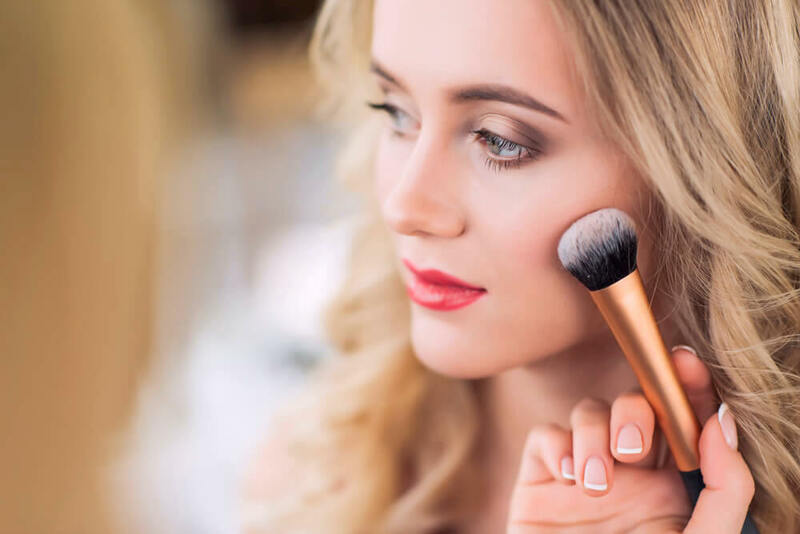 One of the great things is that many of these products don’t cost a substantial amount of money, especially for the exceptional results that they provide. It’s no surprise that Asianification has taken hold of the global beauty world. The desire to look younger is nothing new, ancient cultures had many potions or elixirs designed to keep a youthful appearance. Breakthroughs in science have provided some incredible anti-aging skincare ingredients, but there is no magic product that will erase years from your face as soon as you apply it. A great skincare routine is a huge part of maintaining a young visage, but when you need a little extra help, there are anti-aging facial treatments available. Below, find out about three of the least invasive, yet effective, anti-aging facial treatments. Lasers are a popular and effective method of addressing signs of aging on your face, but they are also a significant investment and may require multiple treatments. Energy facial treatments are growing in popularity as are the number of medispas or cosmeceutical treatments. The energy facial you receive will be based upon the doctor or medispa you visit, but these treatments have one major thing in common: heat. Many treatments use ultrasound, radio-frequency rays or micro-currents to firm your skin. The idea behind energy facial treatments, which you could do on your lunch hour and return immediately to work, is that the heat used “tricks” your skin into believing it has been damaged so that your skin will remedy the problem with an increase in collagen production. Energy facial treatments are non-invasive and provide immediate results, though the results are temporary. spa you visit, but these treatments have one major thing in common: heat. Many treatments use ultrasound, radio-frequency rays or micro-currents to firm your skin. The idea behind energy facial treatments, which you could do on your lunch hour and return immediately to work, is that the heat used “tricks” your skin into believing it has been damaged so that your skin will remedy the problem with an increase in collagen production. 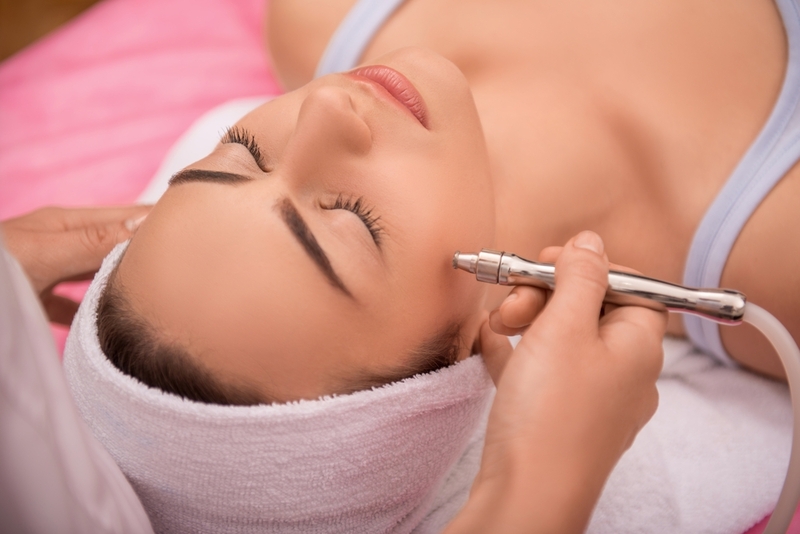 Energy facial treatments are non-invasive and provide immediate results, though the results are temporary. Botox has been around for ages and it continues to be used frequently as a way to treat sagging skin and wrinkles. 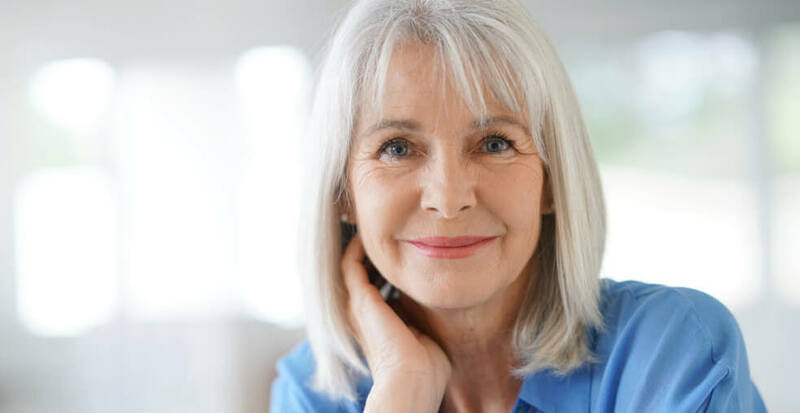 While women today want to eradicate wrinkles and look younger, many women are concerned that traditional plastic surgery or Botox will look “fake” and “plastic,” and they desire a treatment that reduces wrinkles and leaves them looking younger, but still natural. When done by a skilled cosmetic dermatologist or plastic surgeon, fillers can have a dramatic effect while remaining more natural looking. Hyaluronic acid as a filler is gaining popularity not only because it fills in lines and wrinkles, but it can actually lift problem areas as well. Frederic Brandt, a dermatologist in Miami and New York, says that when done properly, one can expect a replenishment of youthful contours such as chins, jawlines, cheekbones and temples and lifting of the face. On certain areas, you can place the filler under the muscle, which will add volume but also give a more contoured and structural effect.” According to Brandt, these facial fillers can last up to two years, but proceed with caution when selecting a doctor. “The filler is only part of the equation. The technique in which it’s used is an equally or more important part of the treatment,” notes Brandt. Prevention is key in the fight against aging, so protecting your skin as best as you can early on will result in less work as you age. Always wear an SPF not only on your face, but down your neck and chest too because these areas show signs of aging as much, if not more, than your face. Be consistent with proper skincare and add a facial massage to your nightly routine and when you need more serious help, look for anti-aging facial treatments like the above to give you a younger, yet natural looking face. We love resveratrol, and we have been big fans of this potent antioxidant for some time. The benefits that resveratrol provides are so incredible and so varied. From anti-aging to fighting cancer, resveratrol truly is a superior antioxidant. Quality skin care lines have been incorporating resveratrol into their products for some time, and now it seems that the entire beauty industry is taking note. Resveratrol is a chemical produced by various plants in order to fight off attackers or to withstand a lack of water or essential nutrients. Resveratrol is a powerful antioxidant that protects your cells against free radical damage. Free radicals are created by exposure to oxygen and sunlight, and they damage collagen and other active enzymes necessary for healthy, youthful looking skin. The subject of much scientific study, how resveratrol works is just now being understood. It is thought that resveratrol works not only by eradicating existing free radicals, but also prevents new free radicals from forming. Applied topically, resveratrol has also been shown to inhibit UVB oxidative stress and to prevent UVA damage. 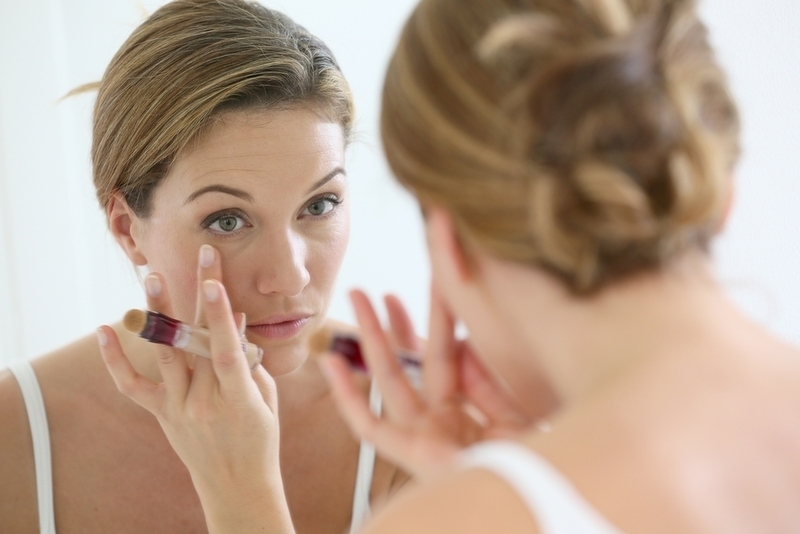 While skin care is currently the biggest source of resveratrol products in the industry, makeup companies are beginning to follow suit. BITE beauty, founded in 2011 is one brand that has started incorporating the power of resveratrol into their cosmetics. BITE was conceived when founder Susanne Langmuir developed sensitivities to non-natural beauty ingredients and fragrance chemicals. The idea behind the BITE brand was, “you eat what you put on your lips, so your lipstick should be good for you.” The result was a collection of moisture-rich and creamy lip products that were made using antioxidant ingredients which are actually good enough to eat. The BITE Luminous Creme Lipstick, is a long-lasting, moisturizing lipstick made from 95% natural contents. One of these natural antioxidant ingredients is resveratrol. The concentration of resveratrol in each lipstick is equal to anywhere from five to 10 glasses of wine. BITE Luminous Creme is available in 24 shades, so you’ll certainly be able to find one that suits you and that protects your lips against early aging. Perhaps the greatest benefit of skincare and makeup products that contain resveratrol is the level of resveratrol you receive. As we noted, one BITE Luminous Creme Lipstick contains concentrations equal to five to 10 glasses of red wine. While you can certainly receive the benefits of red wine by ingesting it, the concentration of resveratrol is significantly higher in products designed for topical use as opposed to drinking wine. 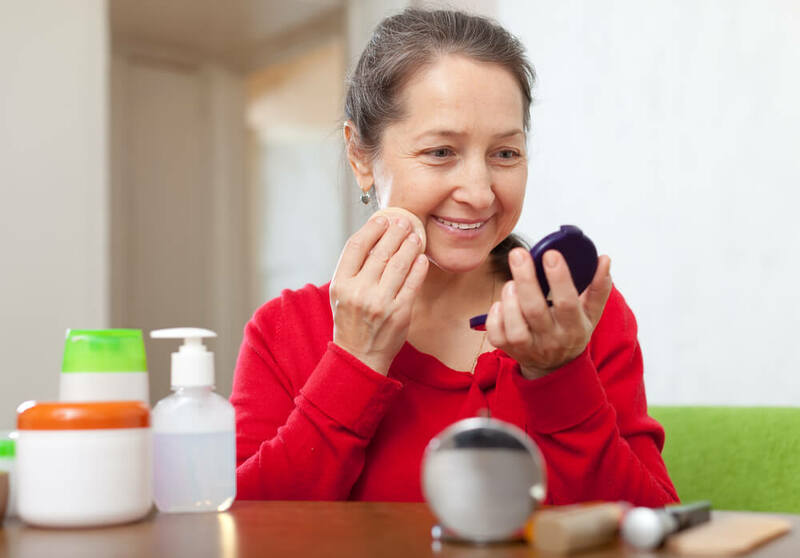 Consuming resveratrol does not provide as much of the antioxidant than topical skincare and cosmetic items containing this skin-saving ingredient. 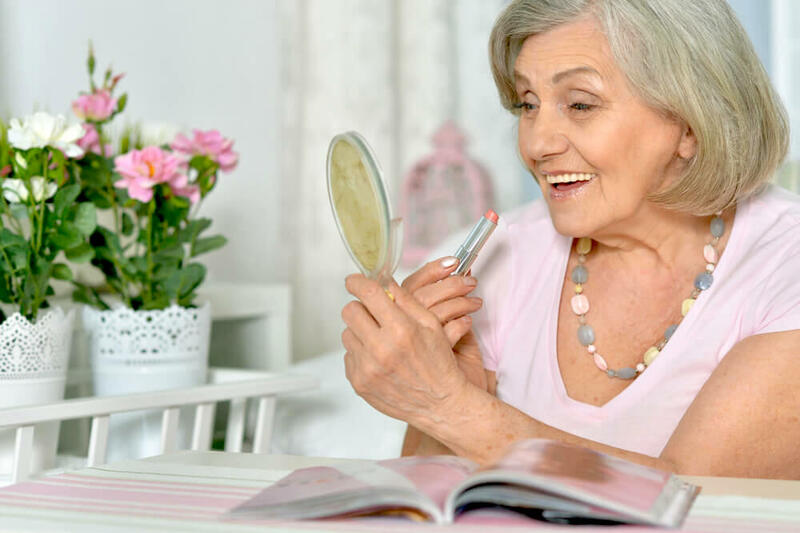 A great beauty routine starts with excellent skincare, but using makeup that contains resveratrol is a great way to increase your defenses against aging and environmental damage. Often the word technology conjures up thoughts of scientific discoveries and major medical breakthroughs. It isn’t often that the beauty and cosmetic industry come to mind when thinking of technological innovations. However, the beauty industry is making some impressive innovations that will take your beauty game to the next level. From capsules for perfume to wrinkle erasing wipes, the future of your vanity is closer than you think. Resveralife examines the future of beauty innovations in this article. 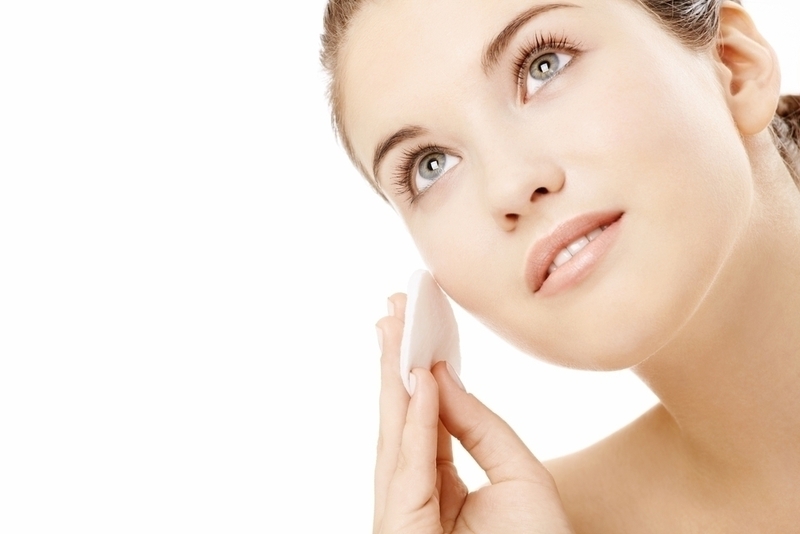 There are tons of women who use makeup removing wipes at the end of the day to remove makeup from their skin. They are quick, easy and efficient. Wouldn’t it be great if you could remove wrinkles and unwanted lines from your skin as easily as you remove your makeup? Advancements in beauty are making this a possibility. There is a botulinum toxin, known as Revance, that is a wipe-on treatment. This facial wipe and anti-aging treatment works when the botulinum toxin is carried through the skin by a chemical peptide. Soon your medicine cabinet could contain a beauty product that quite literally wipes away your wrinkles. In addition the Revance wipes, dermatologists are working on a patch that would help to plump skin without the need for injections. A hyaluronic acid path is being developed that will eliminate the need to visit the doctor for injections that improve the appearance of your skin. One of the most buzzed about treatments for a range of services from hair removal to eye surgery is lasers. Currently only available in dermatology offices, the GentleWaves System is a yellow light treatment that stimulates the growth of collagen. Experts believe it is only a matter of time before this technology is available for home use by consumers. Lasers are also expected to provide relief from unwanted hair, sun spots, wrinkles and fine lines and even acne. Pills are also speculated to be a prominent part of the future of beauty. Gleevec, a drug used among Leukemia patients, is known to restore hair color in some people. With further research and experimentation, experts hope that in the near future you will be able to simply pop a pill to keep gray hair away. Pills are also predicted to take the place of your liquid sunscreen. You may have the option to simply pop a pill when you know you are going to be in the sun for a prolonged period of time. Perfume may also be a pill to swallow in the morning with your coffee. Perfume pills will work through secreting scent from the pores, continuously maintaining your signature scent. Because your smile is important, there will soon be a pill designed to increase the hardness of teeth and prevent cavities. The future of beauty is much closer than you may think. Soon, you will be able to stock your medicine cabinet with a variety of pills instead of potions and powders. From oral healthcare to unwanted wrinkles, the future of beauty seems to be largely available in the form of a pill. Additionally, devices such as lasers will be far more accessible to consumers, meaning that the costly trips to the doctors office can come to an end. A number of new beauty ingredients have come up to cater to the ever increasing demand for new beauty and skin care ingredients. One of the latest ingredients to enter the world of skin care is activated charcoal. This black residue always played a huge role in heating up your grills. Now it seems to be heating up the world of skin care as well. Charcoal is being used for all sorts of solutions – right from whitening the teeth to cleansing the skin. Vine Vera reviews some of the main reasons why charcoal has become so popular in the world of skin care. According to some experts, charcoal absorbs 100 – 200 times its weight in terms of impurities. This makes it an amazing ingredient to deep-cleanse and purify the skin. Numerous spas are using crushed black charcoal as soft powder masks to assist in drawing out toxins from the skin. 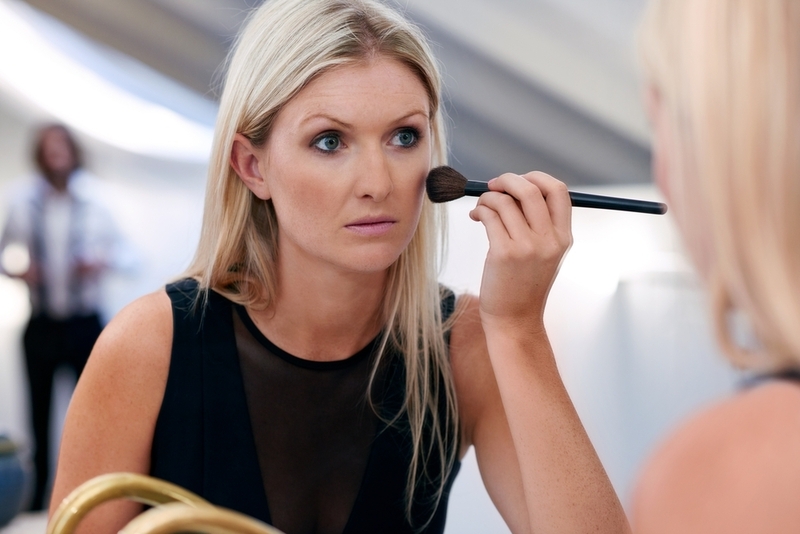 The powder is converted into a thick mixture that is then applied to the skin using a brush. Activated charcoal is created when oxygen is added to regular charcoal. It is commonly used as a medical treatment to treat poisoning, nausea and GI tract infections. Despite the fact that dermatologists are not buying into the hype that has been created by charcoal, those who have used these treatments have said that their skin felt pretty good after the treatment. According to Dr. Craig Kaffert, there isn’t any solid scientific evidence that charcoal offers these supposed benefits to the skin. He mentions that the solid black color of the ingredient is one of the main reasons behind its surge in popularity, simply because using this pitch-black product on the skin sounds extremely cool and exciting. Keeping scientific evidence aside for a minute, Resveralife tried to examine what beauty bloggers had to say about this ingredient. According to Shiva Rose, a popular beauty blogger, charcoal helped her with a number of issues such as teeth whitening, skin treatments and healing mosquito and spider bites. She mentioned that it draws out impurities from the pores and recommended dabbing the black powder on the skin using a toothbrush. Rose also confessed to using carbon tablets as supplements during her juice cleansing routines. Whether or not charcoal actually offers these purported benefits remains to be seen. Experts are certainly not buying into the craze until there is some solid evidence that charcoal offers these wondrous benefits for your skin. They mention that the human body is already well-equipped to remove its toxins and all one needs to do to remove these toxins is to lead a healthy lifestyle and follow basic skin care processes. Resveralife would recommend you to make sure that you follow these fads and trends only when you’re sure of the benefits. There are all sorts of ingredients that are being offered by skin care brands across the world. It certainly makes sense to do some basic research before adding a new ingredient into your skin care routine, because with the proven ingredients already available in the market, you would want to ensure that you spend your money on something that really works.